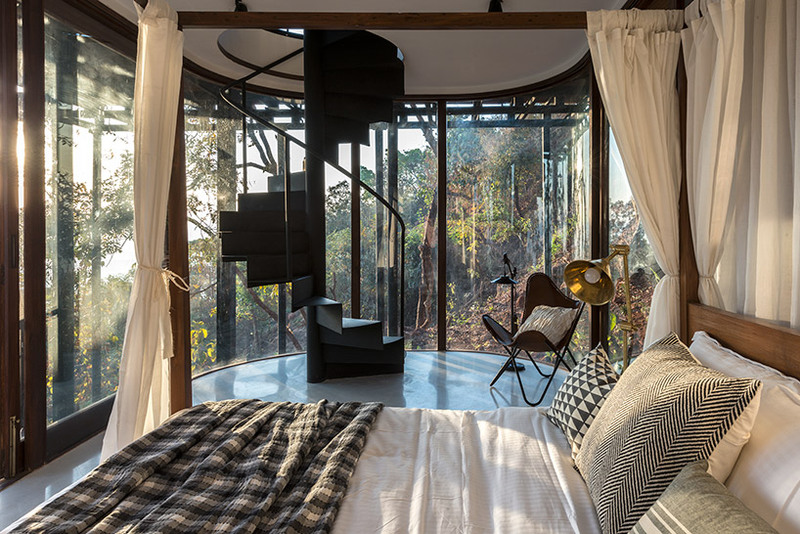 in india, architecture brio has completed a dwelling perched on the cliff of a hilltop surrounded by a lush, meandering river landscape. 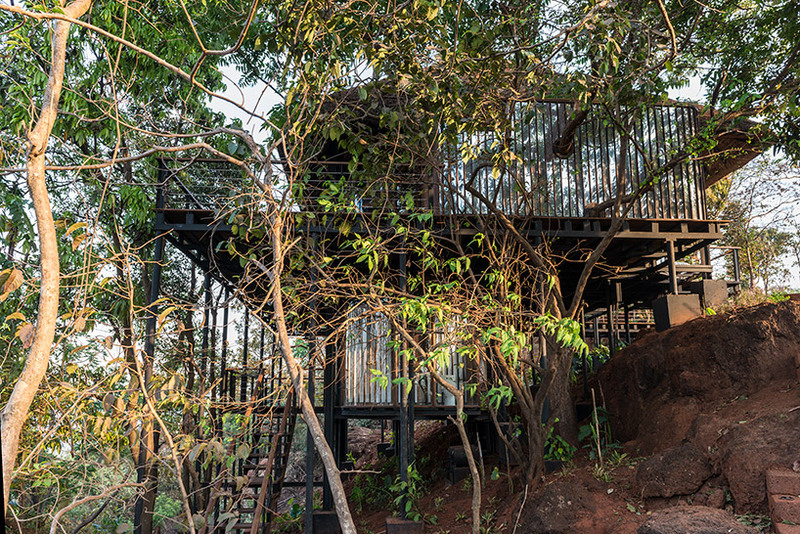 located a stone’s throw from the kuda caves in tala, maharashtra, the ‘tree villa’ has been conceived as a series of layered transparent spaces that occupy an overarching structural framework. 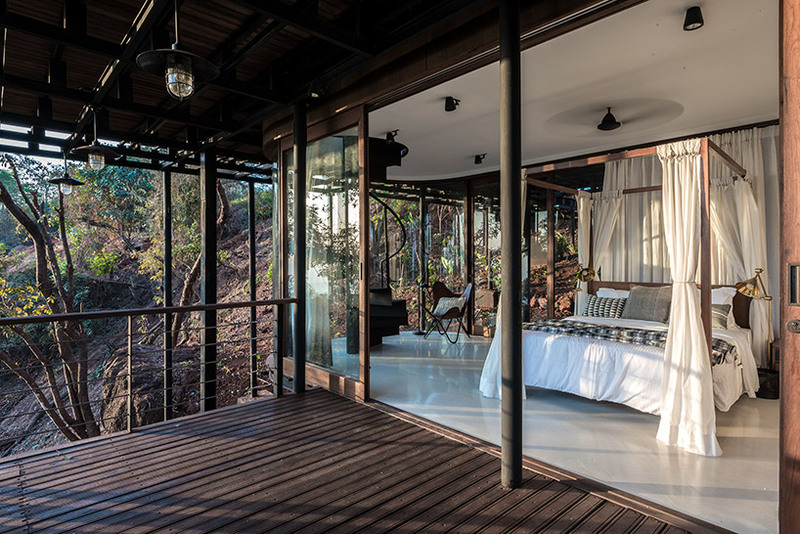 upon arrival, guests are met with a large timber deck that wraps around the house and culminates in a viewing platform. 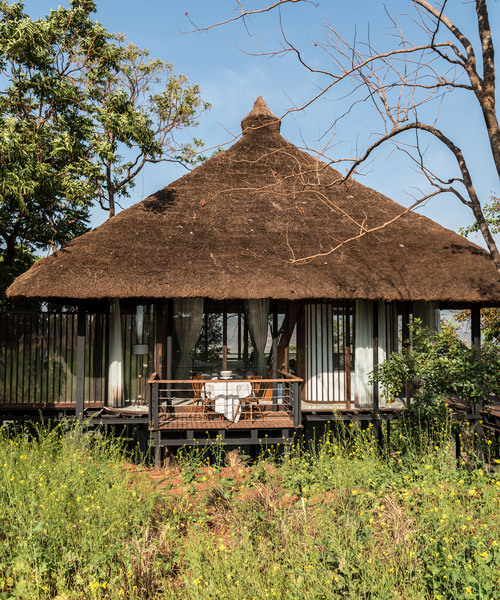 above, architecture brio has topped the villa with a thatched roof that sits on a band of floor-to-ceiling glazing. 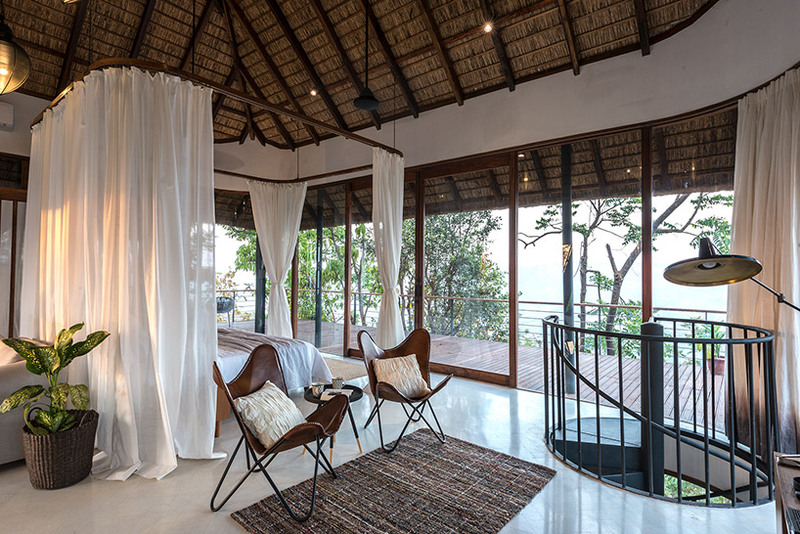 inside the home, living space has been designed to be as open and as airy as possible with sheer curtains used to filter the strong daylight entering the residence. 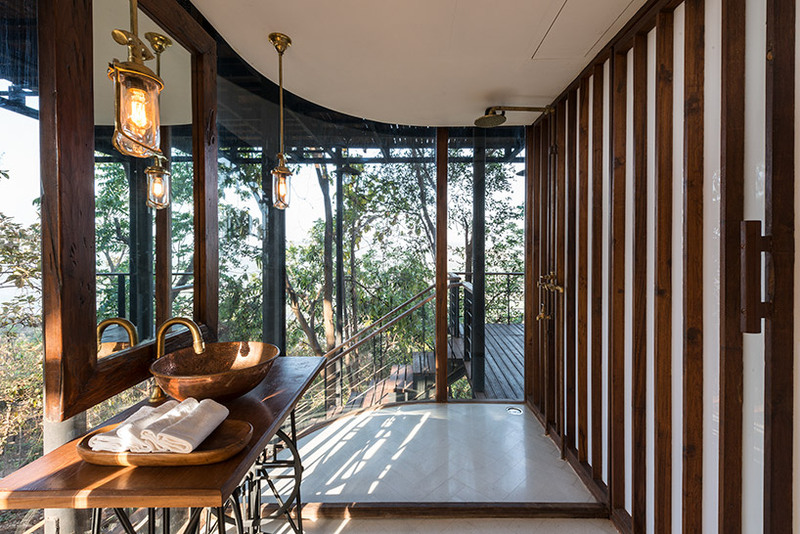 externally, the bathroom enclosure is clad with mirrored panels that reflect the surrounding forest. 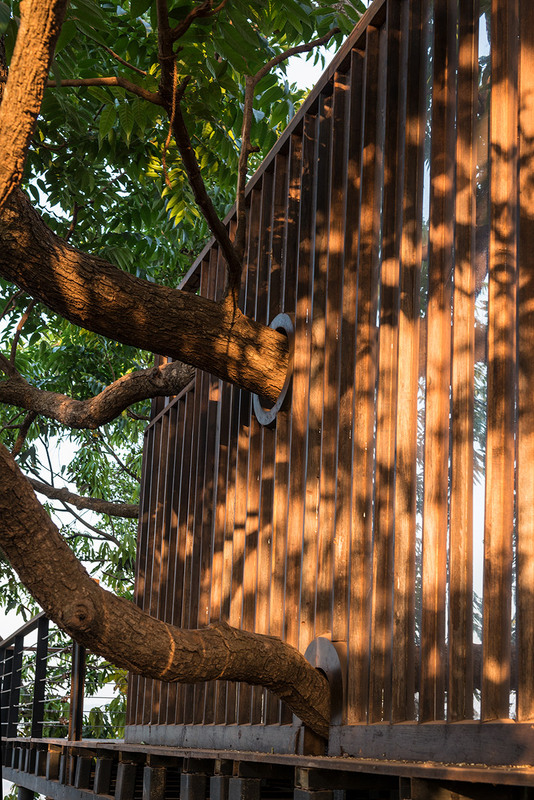 however internally, an old tree spreads across the outdoor space, piercing the enclosure’s walls. 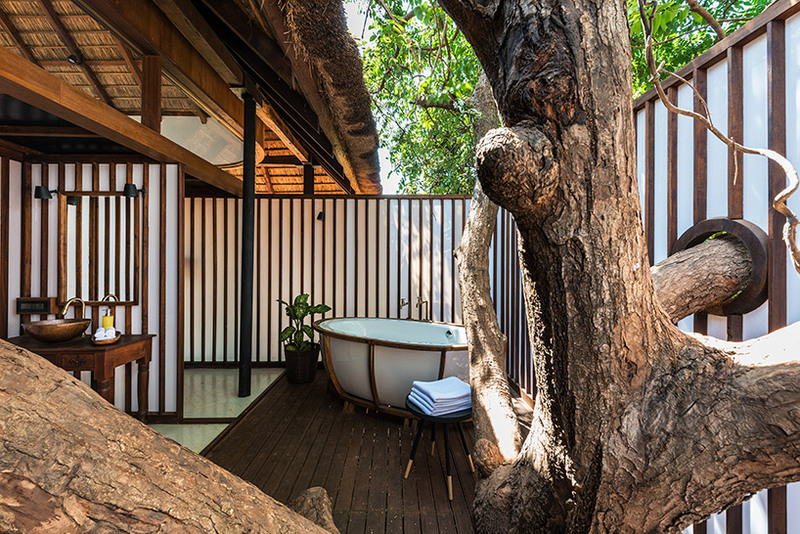 meanwhile, a freestanding tub allows for al fresco bathing. 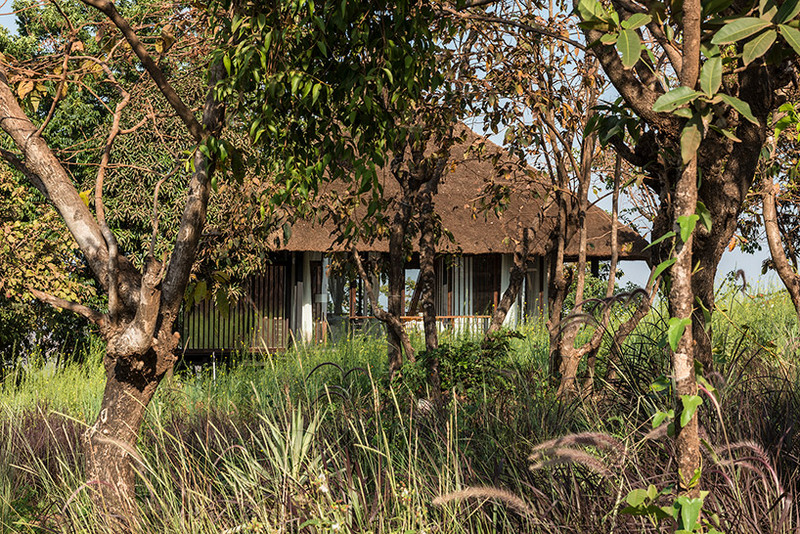 elsewhere, the villa’s sleeping quarters can be closed off according to privacy requirements. 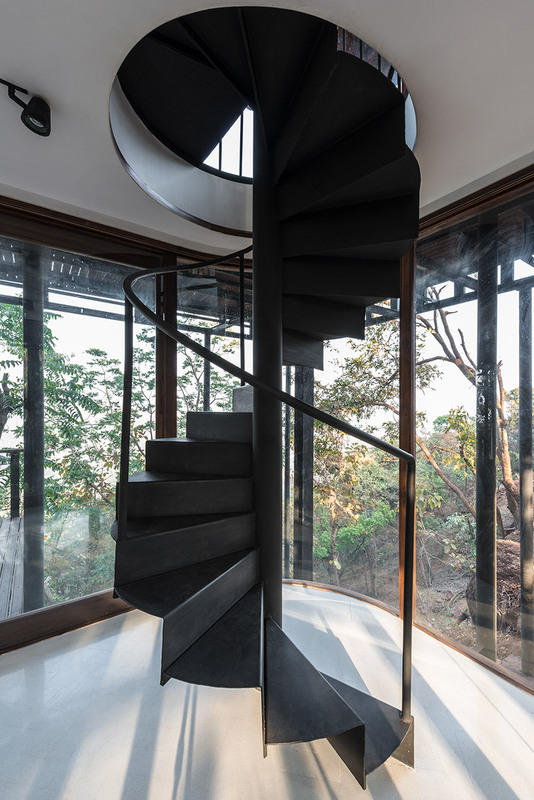 a spiral staircase descends to a ‘secret’ lower level suspended beneath the villa. 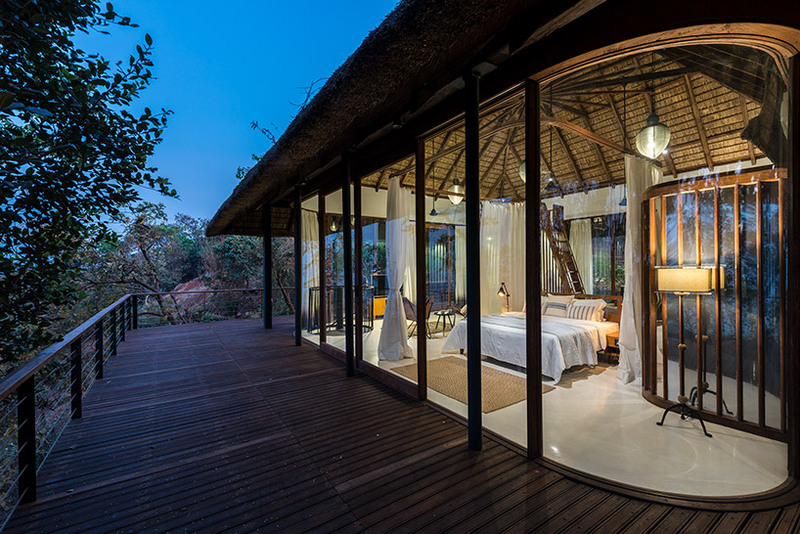 here, a guest suite is bordered by a rock outcrop to one side and a thick forest to the other. a monochrome color scheme has been used throughout, along with an eclectic mix of restored and custom-designed furniture pieces designed to convey a ‘bohemian vibe’.